Our Junior program will not only get your children fit and learn how to look after themselves- it will teach them lessons that will last a lifetime. Kids gain focus, discipline, self-control and self-respect, and their parents love it! Building confident, bully-proof kids. Improved concentration: As your child learns to concentrate on performing his martial arts movements, we gradually increase the difficulty and time of the exercise. the result is that their focus is improved in all areas- listening in class, doing homework, tidying their bedroom- whatever they decide to do. Getting fit and healthy: Without forcing your child into doing exercises they don't want to do and may find boring- martial arts will help them to move in the ways that children naturally want to move- jumping, running, crawling, rolling will develop core strength- helping to prevent health problems later in life-and get them to a healthy weight. This in turn will make them more alert, fit and happy. Learning to set goals and work towards them: A massive life lesson that I learned from martial arts is to not say "Can't". Our students learn that the way to be able to do anything is through practise and even if you can't do something straight away you can achieve it with time and effort. Once they have this idea in their martial arts class, they can use it in school and later in their whole life. Increased confidence: We teach students to look the bully in the eye and not back down. In nearly every case, the bully will see the child is not a victim and will back down! The child will have real confidence because they know that in the rare chance that the bully does physically attack them, they have the real skills to defend themselves without getting hurt. They will also learn that physical force is to be used only when absolutely necessary and to use the minimal power to defend themselves without causing unnecessary injury to the bully. Get info on class times, prices and web specials. And get a FREE report on building your child's confidence! We teach students to look the bully in the eye and not back down. In nearly every case, the bully will see the child is not a victim and will back down! The child will have real confidence because they know that in the rare chance that the bully does physically attack them, they have the real skills to defend themselves without getting hurt. They will also learn that physical force is to be used only when absolutely necessary and to use the minimal power to defend themselves without causing unnecessary injury to the bully. Feedback like this is the reason that I am in this business! I love to teach such a great bunch of kids and feel privileged to be able to affect their lives in a positive way. If you want any more information, please call in, and read the “FAQ” list below. 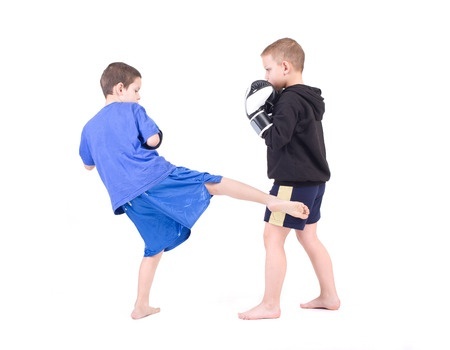 In our classes, the children learn to defend themselves against punches and kicks and also at close range or on the ground, which is where most playground fights end up. The confidence they get comes from knowing that they can handle themselves in any situation. We are committed to teaching traditional martial arts ethics and moralities along with techniques that are realistic and battle tested, so your child will absolutely learn the values of respect, discipline and self control. Our students are NOT violent! We stress safety in our classes- the floors are padded, we wear protective equipment and ‘full contact’ is something that the students practise on pads and bags- not on each other! Of course, to really learn to defend yourself there needs to be a bit of ‘rough and tumble’- this is healthy and is a part of learning to deal with physical force. Injuries are very rare in our classes compared to many other sports like football! Your child’s safety is our priority. We take children from age 5, but the important thing is that our classes are AGE APPROPRIATE. In some schools young children train with older children and even adults! This would never happen in, say, maths class so why do it in martial arts? We understand the psychology and developmental needs of different ages and ensure that whatever your child’s age, they are getting the most appropriate training. Like learning a foreign language or a musical instrument- martial arts takes time and practise. Luckily, our classes are a lot of fun, and most children really enjoy the training and don’t want to miss a lesson! “Can we just try out the school for a while to see how my child gets on?” Absolutely! That’s what our special trial membership is for. I am so confident that you and your child will love our classes that I am offering a 100% satisfaction guarantee. If you don’t think our class is right for your child I will gladly refund your trial membership payment in full. So you are very welcome to come and the classes completely risk free. Getting started is simple- just enter your name and email in the box on the right side of the page, and you will be taken to a page showing our class times, prices and web only special offer. You can order securely and risk free and then we will be in touch in the next day to arrange your child’s first class at your convenience. Don’t worry about ‘spam’- We absolutely will not share your email with anybody. Please remember that our classes are very popular and may fill up. Take action now and fill in your details on the form above to reserve a place for your child. 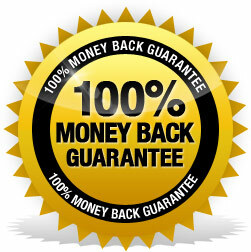 Remember we offer a full money back guarantee so your purchase is risk free. I really look forward to seeing your child in our class soon! David Rogers, Chief instructor. Rising Crane Centre.